At Mr. Pavement, we know that a crisp, freshly lined parking lot can make a big impact on customers or clients. 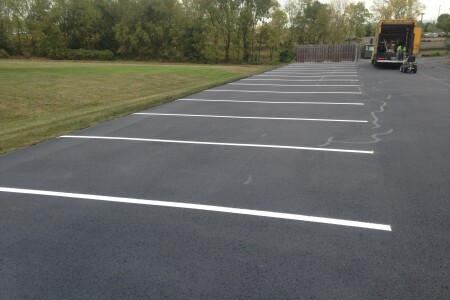 With lines that are perfectly spaced and clearly visible, we can make your parking lot a safer place to park and an overall great-looking property. 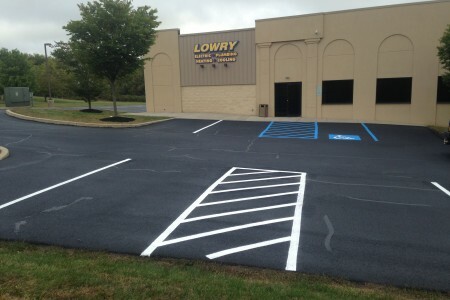 Our lining experts have years of experience and will take the time to carefully paint the borders and parking spaces of your parking lot with bold, bright paint. Our paint is also designed to last, so you won’t have to worry about your lines dulling or fading. We’ll work with you to create a parking design that accommodates all of your visitors and maximizes the paved space that you have, while making it easy for them to navigate through it. Then, we’ll line it using the highest quality equipment and materials, so you can be sure that your parking lot will look great for years to come. We can also make sure you have the right markings throughout your parking lot, such as arrows, handicap signs, or numbered spaces to make it more convenient for drivers.